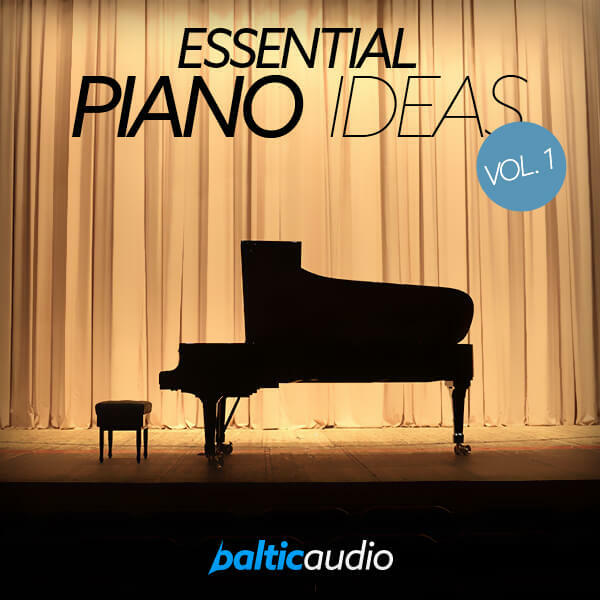 ‘Essential Piano Ideas Vol 1’ from Baltic Audio is a must-have pack if you want to rock the upcoming Billboard charts with beautiful piano themes. You’ll find 25 mini-kits, MIDI and WAV from a real recorded and sampled Steinway Grand. This pack is the perfect ammunition for producing Pop, RnB, Hip Hop and other styles, like EDM. This versatile product will be your essential source for creating instant Pop hits with the sound of Meghan Trainor, Sam Smith, Jason Derulo, John Legend, Maroon 5 and Coldplay. Each idea was created by experts with the newest production techniques and passion. Listen to the demo and feel free to download the free sample pack of this release which contains six full Kits for getting a real overview of how detailed ‘Essential Piano Ideas Vol 1’ is. ‘Essential Piano Ideas Vol 1’ comes with unlooped/tail WAV files allowing you to end a phrase with the decay of the reverb/delay applied to the loop, for a professional sound. Drums and FX are not included in this pack and they are used in the Demo for demo purposes only! They are included in ‘Essential Pop Moments Vol 1’.